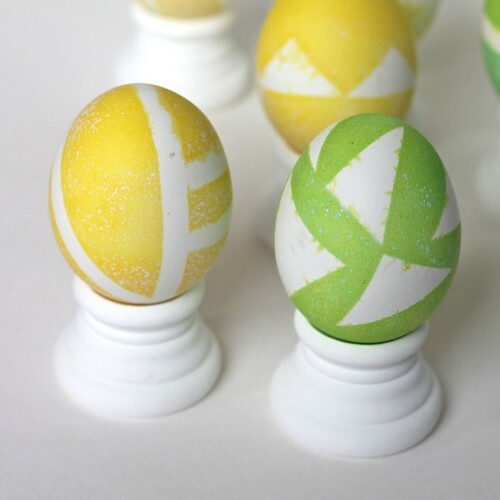 Use eggs to get some geometric shapes on the table. (Don't act like you're surprised; you know my compulsion by now.) Check. This was an experiment also as I'd never tried this dyeing technique before... 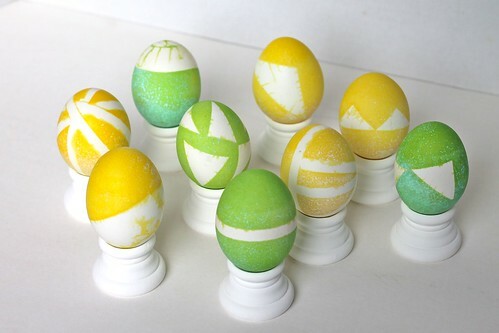 I used painter's tape and thin masking tape to put designs on my eggs, and dyed them (only yellow and green to keep within my table color scheme of course) using the Paas Color Cups. 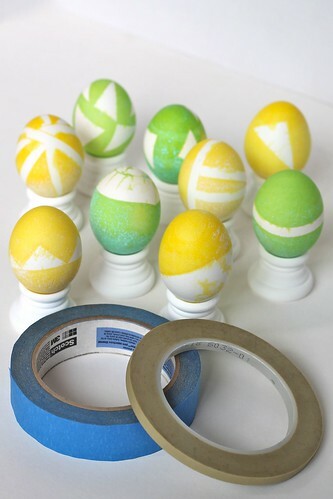 Once the eggs were dry I peeled off the tape. I found the wooden egg cups at the craft store, and painted them white to match the pedestal center piece and ramekin bowls. These are such fun, Kate! 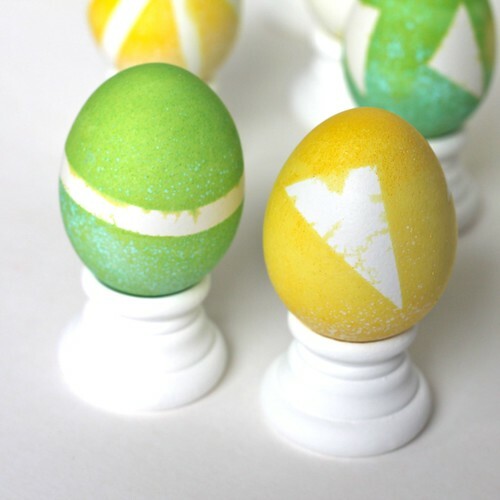 I rather like the mottled look on the green eggs! ....last step : a big pic of your lovely table!!!! !